Laser resurfacing can help patients throughout Chesterfield and the St. Louis area obtain more even, smoother, and blemish-free skin. 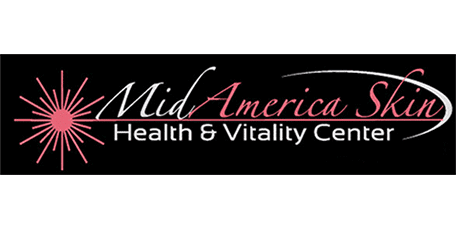 At MidAmerica Skin Health & Vitality Center, Dr. Muccini, offers patients innovative skin laser treatment options including laser resurfacing for the face, neck, and chest. What is Laser Resurfacing Treatment? Laser skin resurfacing is a cosmetic procedure that assists with reducing skin wrinkles, blemishes, laxity, scars, and signs of aging. The procedure uses laser energy, or short pulses of concentrated light, focused on the abnormal skin in order to remove damaged tissue layer by layer. This process is frequently used for skin tightening and smoothing. If one is dissatisfied with fine lines or wrinkles located around the mouth or eyes or on the forehead, laser resurfacing is a good option. Skin that has undergone a facelift or that has shallow scars from acne can also be treated with this option. The procedure is not suitable for individuals with dark skin, or for those who are trying to correct deep scarring or severe acne, or for the minimization of stretch marks. Patients must arrange a consultation appointment with Dr. Muccini to determine if this option is appropriate for their unique needs and skin. How Should I Prepare for Laser Resurfacing? During the initial visit to the office, patients will need to provide their medical history, current skin conditions, and expectations for the procedure. To make sure that the best methods are chosen to treat a patient’s exact concerns, Dr. Muccini will perform a skin evaluation to determine if laser skin resurfacing is appropriate. If one is prone to cold sores or fever blisters, it is important to let Dr. Muccini know before beginning treatment since breakouts can occur when undergoing laser resurfacing. Roughly ten days prior to the procedure it will be essential to discontinue taking certain medications such as aspirin, ibuprofen, and vitamin E because these can interfere with proper healing. Additionally, if the patient smokes, they will need to discontinue doing so at the latest two weeks prior to the procedure. It will be important to follow Dr. Muccini’s suggestions prior to and following the laser resurfacing treatment to ensure that recovery progresses as it should.